Posted on Tuesday, March 26th, 2019 at 3:20 pm. 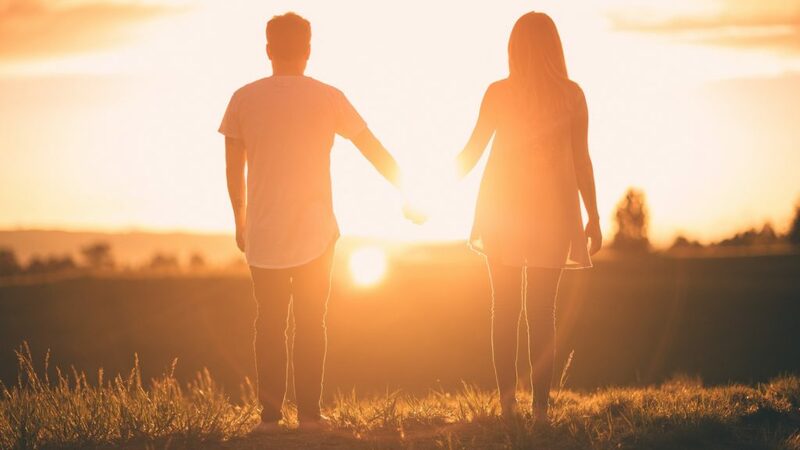 Another characteristic you might want to consider in a potential spouse is their willingness and ability to change, especially when it comes to bad habits or even small quirks that seem to just annoy you. My wife and I used to joke and say, “A spouse is somebody anointed by the Holy Ghost to reveal character flaws in your life. It’s part of their job.” And, there is some truth to that. Our spouse can see things that we don’t and help us knock off rough edges and fine-tune areas that need some tweaking. If done in the right manner, it will be a blessing because couples can help each other grow and become better individuals. A person who truly loves you will want to help you be the best “you” that you can be. It might not seem like it when they give you constructive criticism but love always seeks the best interests of others. So, if you trust them and know that they love you, you’ll understand that they’re not trying to hurt you; they’re trying to help you. Even God says the reason He corrects you is because He loves you and wants you to grow (ref. Hebrews 12:6 NLT). Are both you and the person you’re dating able to point out annoying habits and have a constructive conversation about those areas? Are you both willing to make adjustments and change as needed? However, make sure you’re not nitpicking and making mountains out of molehills. Is He Sensitive to My Problems? Posted on Tuesday, March 26th, 2019 at 3:16 pm. When you love someone, you’ll be sensitive to their problems and try to be an encouragement to them and help them through their difficulties. That’s how love works. However, sometimes insensitivity can be a problem simply because men and women think differently. For example, many times men seem to blow off what a woman is worrying about simply because men don’t think the same way women do. It’s not necessarily that they don’t care, but a lot of times it’s because they just don’t worry about the same things. So, they wonder, Why is she worrying about that? It’s really not a big deal. But if you want to grow in your relationship, you have to realize this: My job is to help meet the needs of this individual. This problem is a big deal to this person, so I just need to show some compassion and understanding. I need to figure out how I can encourage them, ease their stress, and help them through this difficulty. Those kinds of actions are what will help fine-tune and grow a marriage relationship. Does the man you’re dating ignore or lightly esteem the difficulties you go through? Does he take time to really listen to the things that you’re dealing with and give you encouragement, or does he just expect you to deal with them on your own because he doesn’t want to be bothered with your problems? Discuss how you can become more sensitive and engaged in helping each other with individual problems that arise. Posted on Tuesday, March 26th, 2019 at 3:09 pm. Ladies, if you’re going to spend your life with someone, make sure he’s someone you enjoy being with. Life can be depressing enough without being married to Mr. Depression or Mr. Worrywart. Yes, he needs to be a good provider, read his Bible, and be a spiritual leader, but you know, if you’re going to wake up next to this guy every morning, is he a fun person to be with? It’s good to be with someone who is a hard worker and responsible, but it’s also important to be able to enjoy life together. I believe God is a fun God. The Bible says that in His presence is fullness of joy (Psalm 16:11) and that He sits in the heavens and laughs (Psalm 2:4). So, He has a sense of humor and is happy! God is not a depressed, angry, irritable workaholic. Jesus dealt with all kinds of problems when He lived on this planet, and yet He said, “My yoke is easy, and my burden is light” (Matthew 11:30 KJV). So, as crazy, messed up, and chaotic as this world is, God is not walking around worried, burdened down, and carrying the weight of it on His shoulders. He’s happy, walking in joy, and full of laughter. The Bible says we’re to be imitators of God as dear children (Ephesians 5:1). So, that means you need to enjoy the life He’s given you. And if you’re going to do that, then the person you marry ought to be somebody who’s fun to be around and that you enjoy being with. Make sure the person you choose to spend your life with is someone you love doing life with. Take a good look at the person you’re dating—do they make you laugh? What things do you have in common that you enjoy doing together just for fun? Life is more than working to pay bills and shouldering responsibilities. Those things are important, but God wants us to enjoy the life He’s given us and enjoy each other. Posted on Tuesday, March 26th, 2019 at 3:04 pm. The Bible says, “The man who finds a wife finds a treasure, and he receives favor from the LORD.” (Proverbs 18:22 NLT). In Ephesians 5:28-29 (NIV) the Bible talks about husbands loving their wives as their own bodies. When you love your body, you feed it, nurture it, and take care of it. You don’t do things to hurt yourself or tear yourself down. Well, that’s how a husband needs to love his wife. He needs to treasure and cherish her. That means a husband is not going to shout at his wife, abuse her, talk harshly or unkindly to her, or make unreasonable demands. He won’t use force—physical or psychological—or use manipulation in order to get his own way. If a guy you’re dating shows any of those characteristics, it’s not a good sign. If he’s quick to yield to anger, then he has no self-control. 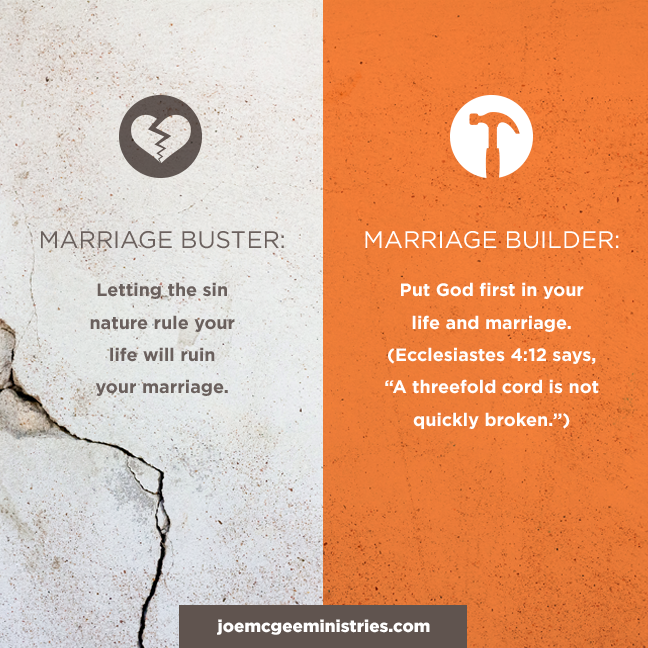 Proverbs 14:17 (ESV) says, “A man of quick temper acts foolishly.” You don’t want to marry someone who is going to do something rash and act foolishly in a moment of anger. Think about it; if he’s yelling now during your dating relationship when there’s not much pressure, then what will happen if you get married and start having children, and there’s a whole lot of pressure to deal with? If he can’t control himself now, he will not be able to later. So ladies, when you’re looking for a husband, consider how the person you’re dating is treating you now. Actions can speak volumes, and the person you share your life with should act like you’re the most important person in his life next to the Lord. He should treat you like you’re valuable and communicate his appreciation. Ladies, when you’re dating, here are a few qualities to look for in a potential spouse: faith, patience, kindness, joy, honorable to others, not self-seeking, not easily angered, trustworthy, protector. Posted on Tuesday, March 26th, 2019 at 2:56 pm. But realize this, the woman you married became your helpmeet. She left her family name and took on your family name, and she’s entwined with you. She is one with you whether you realize it or not, so she is concerned about where you are. When it comes to any relationship, communication is important. And the simple courtesy of calling if you’re going to be late, or even just checking in once during the day, is a small price to pay to give peace and a sense of security to your wife and help grow your relationship. Ladies, just a few things to consider when dating: Is he on time for dates? Does he call if he’s running late? How courteous is he? Does he think about your feelings, and is he respectful of your time and schedule? If there are areas that really bother you, is he open to discussing them and being willing to change if need be? Posted on Tuesday, March 26th, 2019 at 2:47 pm. If you’re dating someone seriously, make sure there’s total transparency in your relationship before you marry them. Because if they hide things from you now, it’s probably not going to change after you get married. A saying that you’re probably familiar with is, “What happens in Vegas, stays in Vegas.” And there are a lot of men who have that same philosophy when it comes to their work and live by the motto, “what happens at work, stays at work.” As a result, they end up leading two different lives. They have a home life with their wife and a completely separate work life that their wives are never a part of. However, when God created Eve, He created her to be Adam’s helpmeet. He created them to do life together—that means involvement, working together, and complete transparency in every area. In our men’s retreats, I would say, “Never, never lie to your wife.” First of all, you need to realize that it’s almost impossible to lie to her because women are very perceptive. If you lie to her, nine times out of ten, she’s going to know it. And secondly, you need to know that broken trust is one of the hardest areas to repair in any relationship, especially with the person you’re in covenant with to love and cherish and who is supposed to be the closest person to you, second only to Jesus. So, when you’re looking for a spouse, keep in mind that a key component to a successful marriage is complete transparency—no secrets. Questions to ask when looking for a potential spouse: Does he communicate with me about what’s going on with his job? Does he want to include me and have me with him at work related social activities? Is he transparent and trustworthy? Are there areas where you feel he holds you at arm’s length and doesn’t want you to trespass onto “his territory”? Does He Respectfully Consider My Input? Posted on Tuesday, March 26th, 2019 at 1:50 pm. The Bible says, “For this cause shall a man leave his father and mother, and shall be joined unto his wife, and they two shall be one flesh” (Ephesians 5:31 KJV). One is not greater than the other. Their roles and their strengths and weaknesses may be different, but one is not greater than the other; they’re equal. Yet, even though they’re equal, that doesn’t mean they’re created the same. God knew what He was doing, and He didn’t make men and women exactly alike. He did that on purpose so that they could help one another, and they could be stronger together as one. Being in a lifelong relationship with someone like that will not be easy. If you offer suggestions or advice and he doesn’t want to listen and always ignores your input, then you might want to think twice about whether he’s the right marriage material for you. A person who understands leadership and what it means for the two of you to come together as one, will value your opinion, even if they disagree with it. They’ll give consideration to your suggestions and advice before making a final decision. Ladies, make sure that the man you’re considering marrying is open to listening to your advice, input, suggestions, and even complaints without feeling threatened or resenting the fact that you shared them. Posted on Thursday, March 21st, 2019 at 4:49 pm. 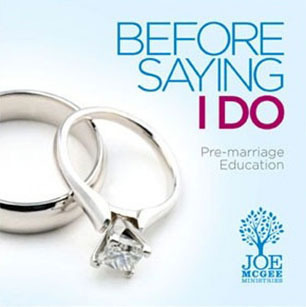 Listen as Joe shares about early married life. Couples looking to get married should always go to pre-marital counseling. It’s best to find out as much as you can and be on the same page, before you marry. There are always people who wait until AFTER they’re married, to discuss important topics. Joe shares this hilarious story about how he was a little behind the curve in talking about some important issues! Posted on Thursday, February 21st, 2019 at 4:46 pm. Would you love the key to knowing how to win an argument with your spouse? Okay, that’s kind of a trick question because you never really win an argument. But there is a way to resolve conflict or solve problems together. Before getting into an argument with your spouse, take a moment and determine if you are approaching the conversation the right way. Remember, it’s not about winning, it’s about solving a problem. Posted on Thursday, February 21st, 2019 at 4:34 pm. Remember, you don’t FIND a great marriage. You BUILD one. 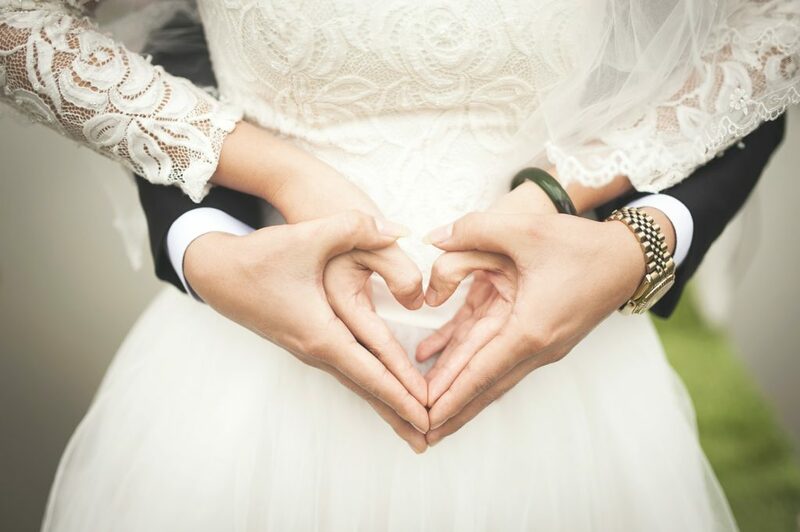 Use these four tips to build a strong marriage and enjoy the lifelong journey together! 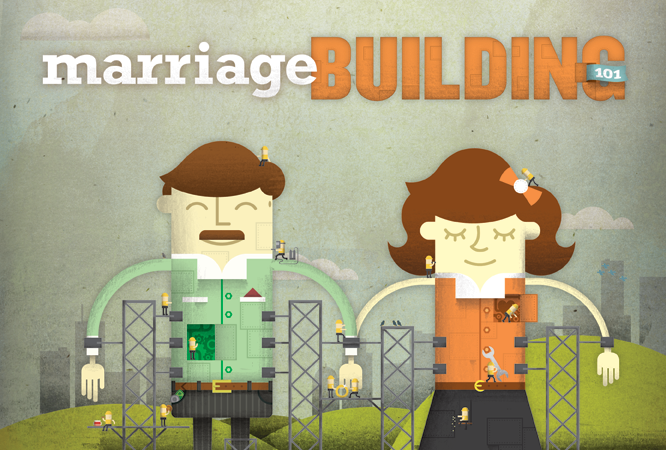 Put purposeful effort into building something great with your spouse today!